The main Focus for this exercise was to brainstorm where analog input can be converted into digital output with the medium of interaction. "INTERACTION". 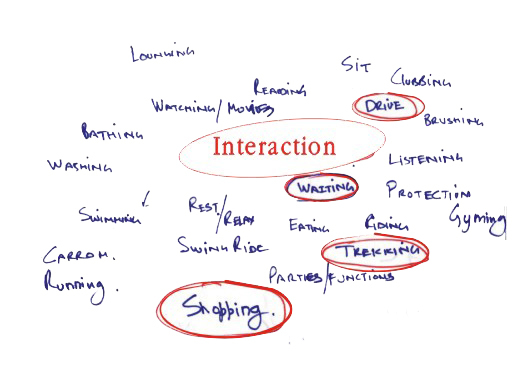 Where all can we see interaction in the day to day activities. 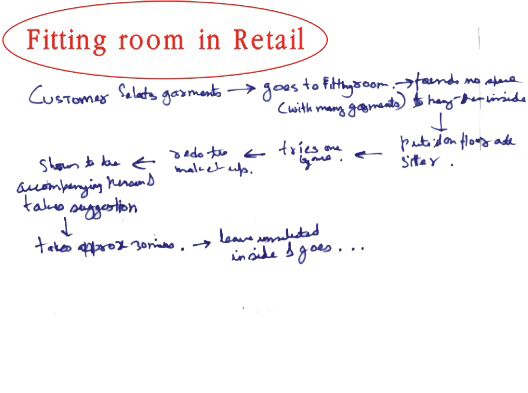 Ideation… What all activites we doo thorughout the whole DAY…. Then I went on picking up some activities, which personaly I want to explore. Waiting is a major activity, which can be used more effectively, instead of listening to music or playig games on Psp or mobile phones OR just gossiping on phone. So lets see where all do we wait throughout. 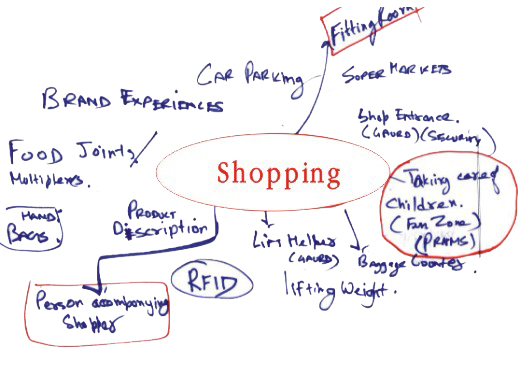 Shopping includes again many interaction zones, which can be explored in more interactive manner. 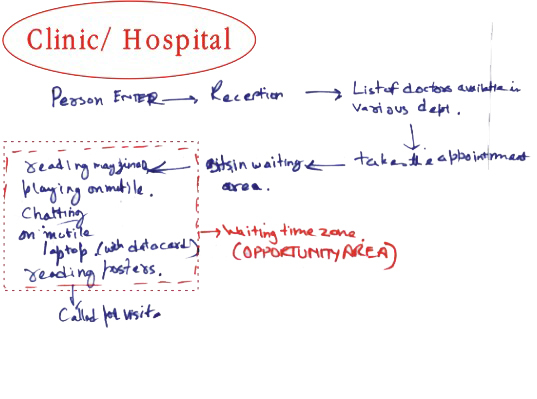 Scenerio of a Hospital. 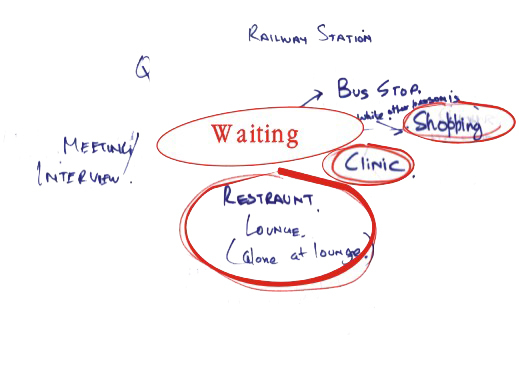 where a patient goes and takes an appointment with an doctor and tries to pass out the waiting time period. That is where the opportunity area lies in this situation. 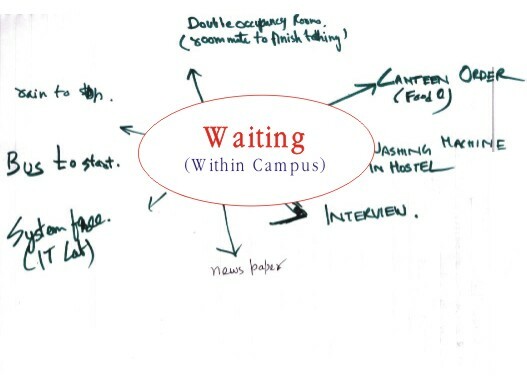 Now I have tried to figure out that where all do we spend time waiting within our campus boundaries. and which can be solved with the help of technology. I have treid to look for opportunity area in those boundaries and solving those issues. There is a hostel within campus. 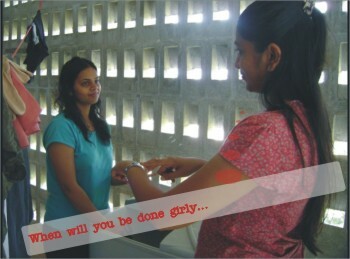 In which, ground and first floor has been alloted to boys and rest second and third are alloted to girls. 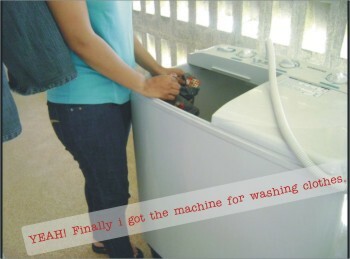 There is one semi- automatic machine placed on each floor to wash clothes. In total there are ten double- occupancy room on each floor. 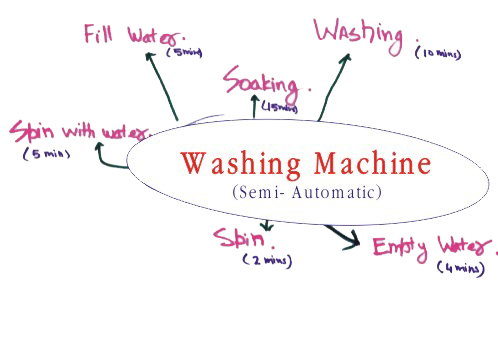 Considering these facts there is always waiting going on to wash clothes and rooms are distant from the washing area, which creates all the more trouble as person has to come and keep on checking it. 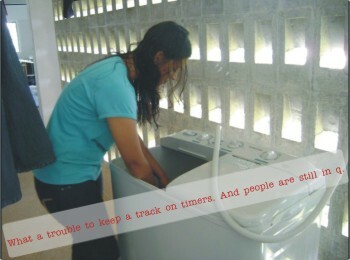 and in return people end up using facility on odd timings and results in inconvience for the people who stays neaar to washing area. 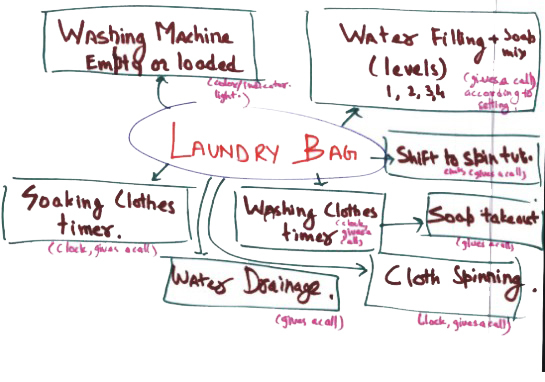 What all activities are there in washing?? 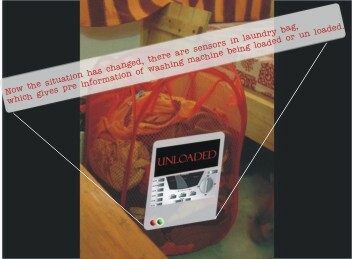 Keeping community washing in mind, laundary bag is one thing which is personal and is always kept in room. Can it be more interactive and informative? 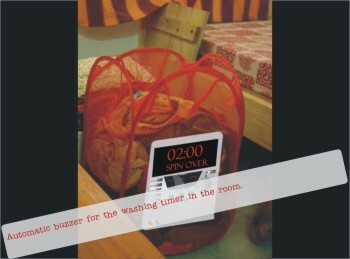 Next level of ideation is, that you can book your turn for washing from your room itself using smart laundry bag. So that it will reduce down to other probabilities.